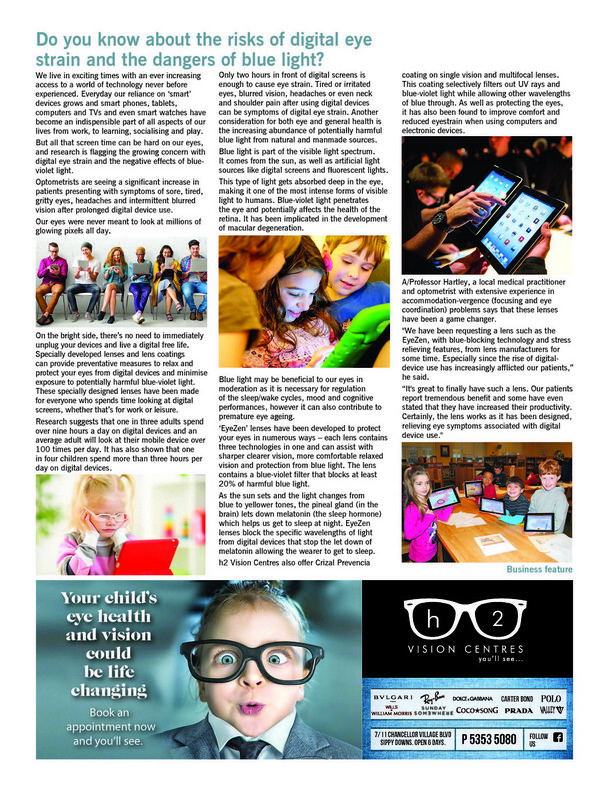 Do you know about the risks of digital eye strain and the dangers of blue light? 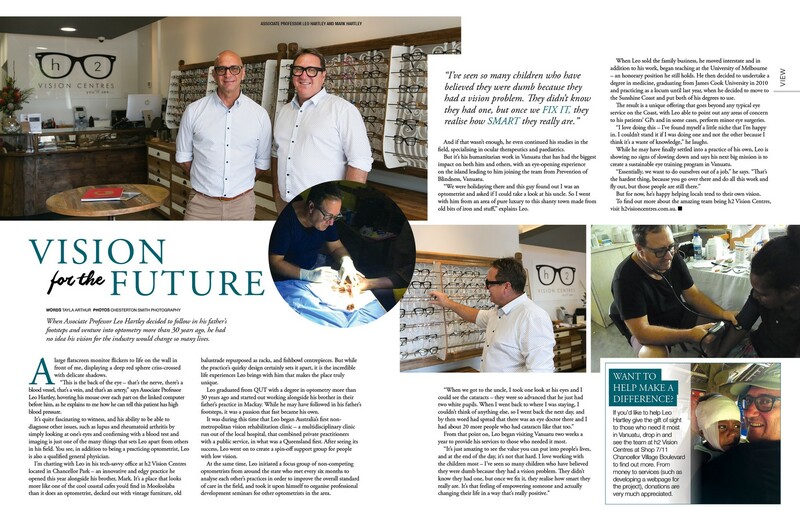 When A/Professor Hartley decided to follow in his father's footsteps and venture into optometry more than 30 years ago, he had no idea his vision for the industry would change so many lives. 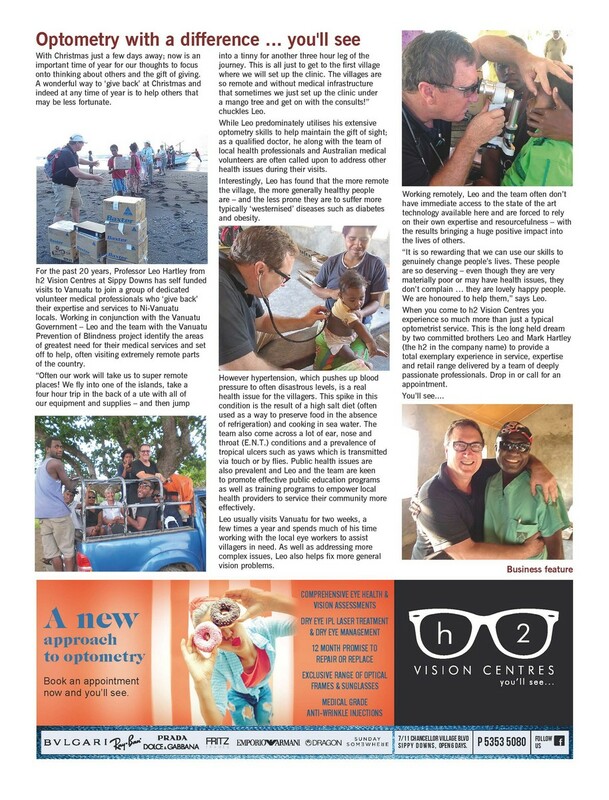 A local medic who has volunteered his time in Vanuatu for 20 years is astounded by how happy the people are. Q: What does it mean to have myopia? A: If someone has myopia, it means that they can only see up close. Distance vision is blurred. 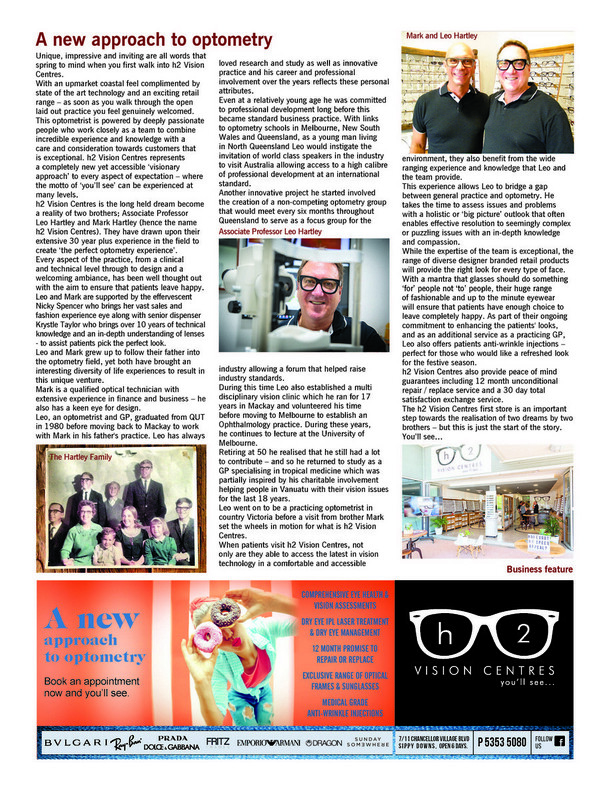 Q: is it possible to go blind from myopia? A: Myopia can weaken the eye structure due to excessive stretching which can lead to macular degeneration and retinal detachments. These conditions are more prevalent is worse cases of myopia. Q: How common is myopia. A: In Asian countries (like Singapore, China or Hong Kong) myopia occurs in epidemic proportions. It is less common, although increasing every year, in Caucasian populations. Q: How can myopia be treated? A: There is a huge amount of research on this very subject. There are four main approaches to slowing the progression of myopia. 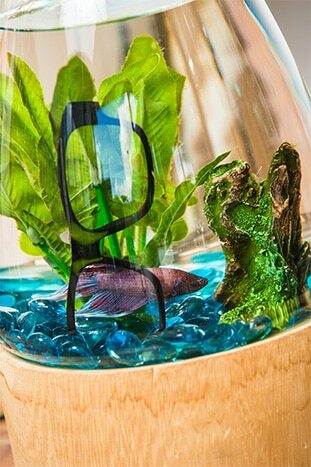 First, wearing glasses or contact lenses that provide the clearest distance vision is essential. 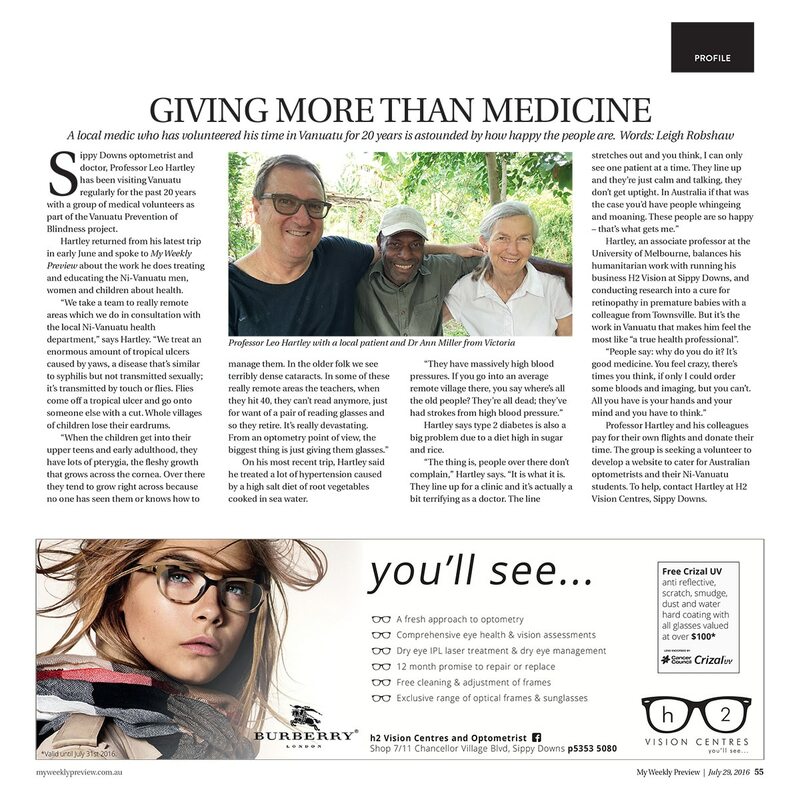 In years past, it was believed that prescribing “weak” lenses that allowed reduced distance vision was the best. However, several large studies have proven that prescribing weak lenses makes the myopia worse. Secondly, newly designed soft contact lenses that reduce peripheral retinal blur have been shown to slow myopia progression as have rigid gas permeable contact lenses that the patient sleeps in overnight. Thirdly, an increasing number of studies have shown that myopia progression can be slowed using very weak atropine eye drops (with no side-effects) once a day can slow the progression of myopia significantly. Finally, other studies have shown that spending an hour each day outdoors also helps. Q: How about the eye-exercise methods described on the internet, like the Bates Method? Don’t they work? A: Unfortunately, a large number of studies have shown that these techniques, while they mostly do no harm, do not reduce the progression of myopia in any way. Not even a little bit. Q: Is there any way to prevent myopia in my children? A: There is no known way to prevent myopia if you are genetically disposed to it. 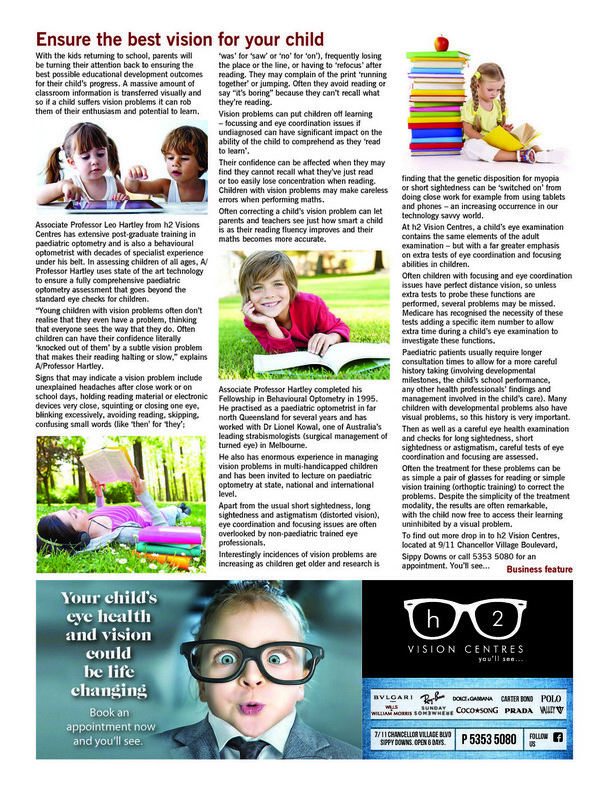 However, studies have shown that the rate of progression can be slowed by ensuring children have perfectly clear distance vision at all times, spending at least an hour outdoors daily, using very weak atropine drops daily and the use rigid gas permeable contacts designed to be slept in each night or soft contact lenses that reduce peripheral retinal blur. Q: I suppose children should have regular eye check-ups then? A: Yes. We recommend yearly to 2 yearly eye checks for all children. We can catch problems early. What is proven to be ineffective?